We accept childcare vouchers so working parents can save money on their fees! The new government tax-free childcare scheme is due to replace the existing Childcare Vouchers used by parents. 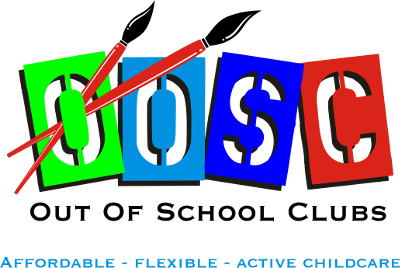 This is for new registrants only and parents who are already in a voucher scheme can continue to use their existing scheme to pay OOSC. We are registered with all clubs to accept the Governent Tax Free vouchers. These are listed under individual club postcodes - which may be found on your club page. Once an employer is registered with a voucher provider, eligible working parents are entitled to exchange up to £243† a month (£55 a week) of their gross salary for childcare vouchers. The exchanged proportion of the salary is exempt from tax and National Insurance contributions, allowing employees to make savings of up to £933* per parent, per year on their childcare costs. †For parents joining a scheme from 6 April 2011, the Government has capped the amount of childcare vouchers a tax-payer can request each month to £243 for a Basic rate tax-payer, £124 for a Higher rate tax-payer and £97 for an Additional rate tax-payer. *Figures quoted are the maximum available savings for a Basic rate tax-payer. Higher and Additional rate tax-payers may save around £600 a year. The savings you make will depend on your circumstances. **How do I pay fees using childcare vouchers? GOVERNMENT TAX-FREE VOUCHERS are linked to individual club postcodes (found on club page). What if my employer does not subscribe to a childcare voucher scheme? Childcare vouchers are National Insurance exempt for employers. Employers can save up to £402** per employee, per year via reduced National Insurance contributions. **Annual Employer NI savings for a Basic rate tax-payer taking the full £243 voucher value. The maximum savings available will be less for Higher and Additional rate tax-payers.